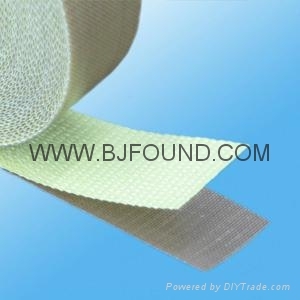 Fiberglass Substrate PTFE adhesive tape(teflon adhesive tape,insulation adhesive tape) is well known as its smooth surface,non stik,chemical resistance and high temperature resistance and insulation properties. 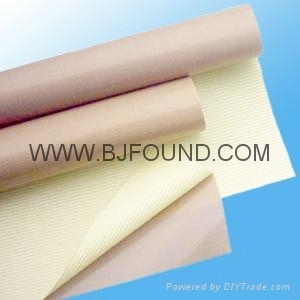 PTFE adhesive tape(teflon adhesive tape,insulation adhesive tape) is widely used in packaging,heat moulding,laminating,sealing and electrical industries etc.PTFE adhesive fabric is enhanced by fiberglass fabric,which improved its tensile strength,it could be used plastic moulding except additional applications,it is reusable,easy to install. 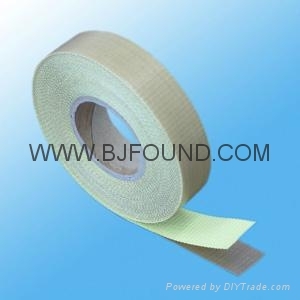 Advantages︰ Fiberglass Substrate PTFE adhesive tape(teflon adhesive tape,insulation adhesive tape) has high heat resistance.